Peace Direct is an independent charity working with local people to stop war and build peace on the frontlines of conflict. 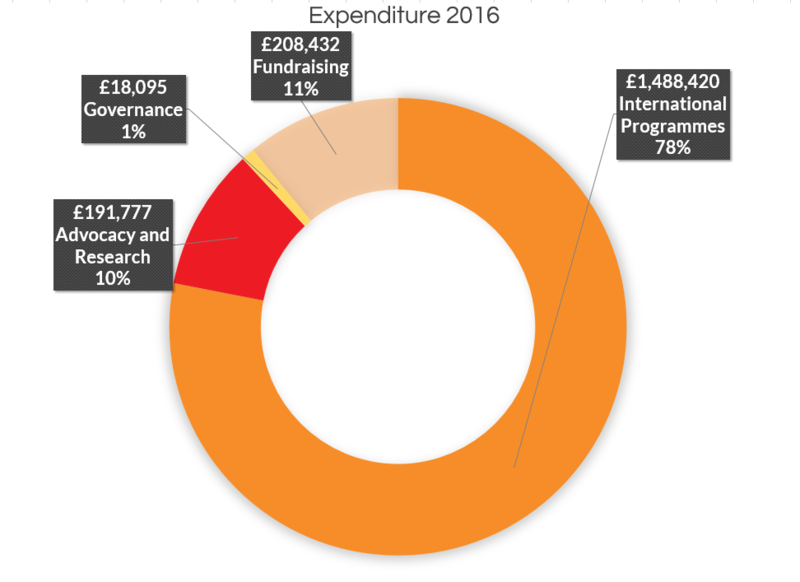 Here is how we were funded in 2016 and how we spent the money. Our income was $2.3m (£1.82m), reflecting the very high quality of work by staff and local partners throughout the year, both developing locally led programmes for conflict affected communities, and enabling us to attract new and larger grants to support this work. 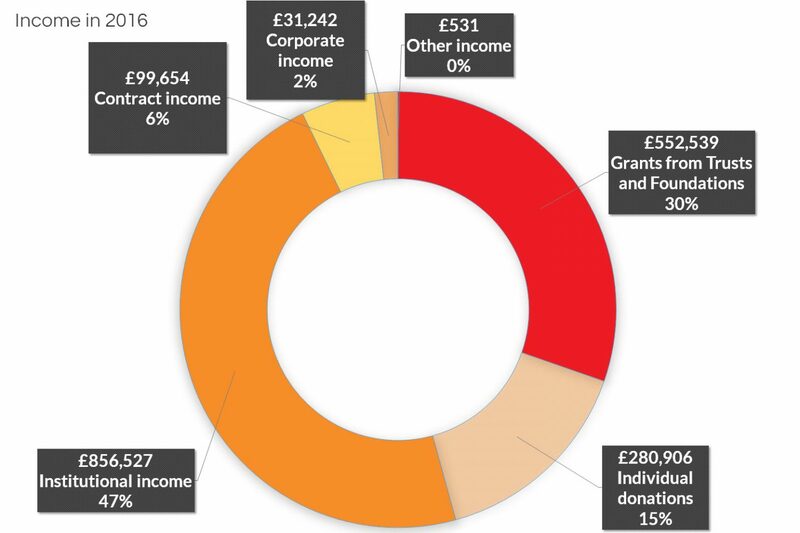 Over two thirds of our income comes from the generous support of charitable trusts and foundations. Without these grants, we could not continue our life-saving work. 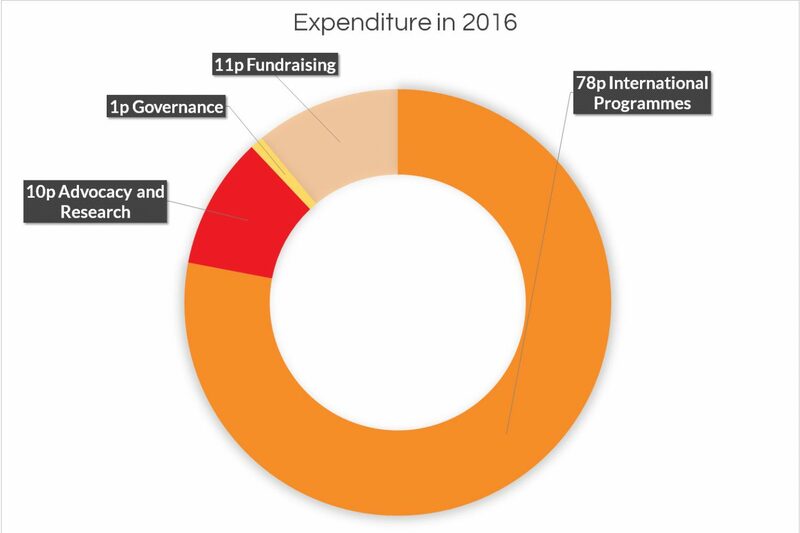 While all of Peace Direct’s projects address conflict in some manner, we are proud that many funders without peacebuilding priorities support us. As our generous funders know our projects bring so much more than peace to the communities they help, whether this is creating agricultural cooperatives in DR Congo or promoting women’s political participation in Pakistan. Peace Direct is committed to timely and appropriate grant reporting following donor requirements. We work closely with our local partners to ensure reports are of the highest standards and that our projects have the highest impact for a low cost. We are always looking for new supporters interested in our work. Please email us for more information about how to support our work. If you’d like to make a personal donation, please donate online now. Peace Direct’s work has been exemplary in all respects and is achieving remarkable results in the most challenging circumstances imaginable. Peace Direct is grateful for the support received from trusts and foundations, without which much of our work could not happen. If you, or someone you know, is the trustee of a grant-making body we would welcome the opportunity to discuss our work and how you might become involved. Please contact Claire May on [email protected] or call 0203 422 5549.